The responsibility of understanding and propagating the roles of Muslim women fall primarily on Muslim women as we pass on the mantle from generation to generation. We as a people, especially in a society where we are a minority, must not allow ourselves to be defined by those who would do so with lies, deceit, falsehoods and misconceptions. Muslim groups like TMOA’s Banaatun Noor has accepted this responsibility for over three decades in teaching ourselves, our daughters and then their daughters: teaching and defining our own roles based on Allah’s law, the traditions of His Holy Last Messenger (Peace & Blessings be upon him) and our own history. The role of Muslim women in the world is one that is prone to much discussion and assumptions; unfortunately, the discussion is more often than not a negative one even in Muslim cultures. The most common perceptions of a Muslim woman are the ones of her living under the oppressive dictatorships of her husband and father, or being forced into marriage, and/or hidden under the veil. In terms of her contribution and role in society, her caricature is one of the Muslim woman being restricted to the old adage of “barefoot and pregnant”. The discussion of Muslim women and their roles is an important one for every Muslim, primarily because it’s an area in which there are many misconceptions being held, especially by non-Muslims to demean our religion. These misconceptions are also often fed by Muslims who manufacture false edicts that allow Muslim women to be treated unjustly in the name of Islam, when in actuality, their actions are often a result of cultural or tribal customs and not Islam. Misconceptions surrounding the treatment of Muslim women arise from two sources: 1. From Muslims who justify their oppression and mistreatment of women on the basis of Islam, and 2. From non-Muslims who have an agenda to misdirect Islamic teachings to depict Islamic civilization as backward and oppressive. We usually think that women in Islam have no rights or status. In reality, Islam, before any other society, was the first to grant women rights. Islam is progressive in its thinking compared to the society of the time from which it came. The women in Arabia 1,400 years ago had no rights and were seen merely as a piece of property that men could use, give away, and inherit from father and husband. However, the role of the Muslim woman is clearly defined and outlined in Islam. In short, her primary role is the upbringing of her children and in being a dutiful wife. She is encouraged to carry out all the duties she takes up with devotion and enthusiasm. However, the role of being a mother and a wife are not her only roles. Allah gave woman her freedoms as revealed in the Holy Qur’an by which women were freed from the tyrannical bonds of pre-Islamic society. Women were permitted to perform Hajj (pilgrimage), to exercise the right to vote, to engage in politics, to take up employment and even own her business. Thus, from the onset, Islam culturally, politically and socially gave women their freedom and rights, whereas giving women their rights has been a relatively new phenomenon in western societies. We Americans see ourselves as very progressive, yet it wasn’t until 1893 that Colorado became the first state in America to grant women rights to vote and inherit property. Women in this western society have only recently been seen as capable human beings. Though women in the west struggle to break the “glass ceiling” in the business world, the U.S. presidential election in 2016 failed the chance to put its first woman in the highest office in the land. Yet, as Muslim women are portrayed as lacking power and marginalized, American history tends to forget to tell the political stories of women who are heads of states. Eight countries have had women as heads of states: Tansu Ciller, PM, Turkey (1993-96); Megawati Sukarnoputri, president of Indonesia; (2001-04); Mame Madior Boye; PM of Senegal (2001-02); Atifete Jahjaga, president of Kosovo (2010-present); Roza Otunbayeva, president of Kyrgyzstan (2010-11); Sheikha Hasina, PM of Bangladesh, (1996-2001, 2009-present ); Benazir Bhutto, PM of Pakistan (1988-90, 1993-1996); Khaleda Zia, PM of Bangladesh (1991-96, 2001-06) and Ameenah Fakim, president of Mauritius (2015-present). Speaking of breaking the glass ceiling, Muslim women are posed to do just that in the mid-term elections of 2018. Rashida Tlaib is set to become the first Muslim woman in US Congress. She is one of many who have tossed the hijab into races for offices in US political arenas. Though faced with backlash in the current American Islamophobic climate, they forge onward. Aisha Yaqoob is running for the Georgia’s House of Representative seat in the 97th district. 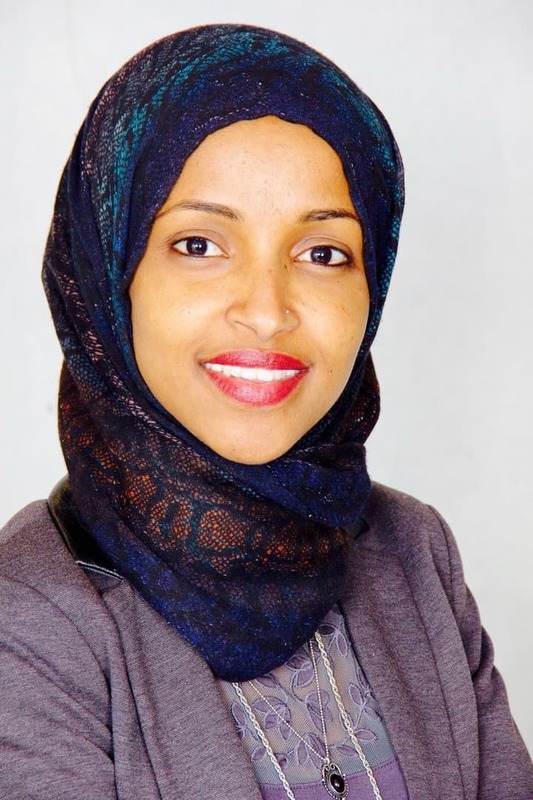 Ilhan Omar, a Somali American is also running for Congress. Tahirah A. Wadud is running in Massachusetts’s 1st Congressional district. Regina Mustafa is running for mayor of Rochester, MN. Hadiya Afzal at age 18, is running for a seat on DuPage, IL County Board. These women, along with Muslim men who are running for public seats, make up the largest number of Muslims running for office since 2001. One can imagine the strength and fortitude it must take to face this negative era of Trumpism. We must note the growing number of Muslim women standing up and representing their community and country as it makes them admirable examples, returning to the historical heritage and tradition of our roles as women in Islam.